Launching the HTML5 Asteroids on Seb.ly you’re immediately surrounded by gaggle of smooth-scrolling ships, all seemingly attacking each other. Is it really a multiplayer asteroids with over 1800 connections? 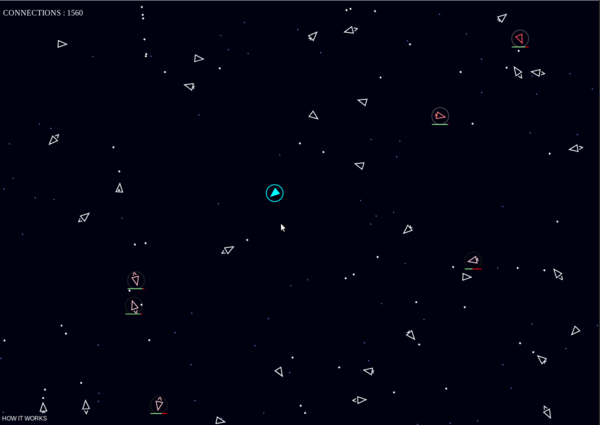 After a few moments playing suddenly all the ships turn towards you and target you and you alone,suddenly making it crystal clear: it’s a HTML5 Game April Fools gag, but a good one.